Everyone knows practice is the best way to get better at something. However, practice is a skill and we must learn how to do it effectively just like anything else. 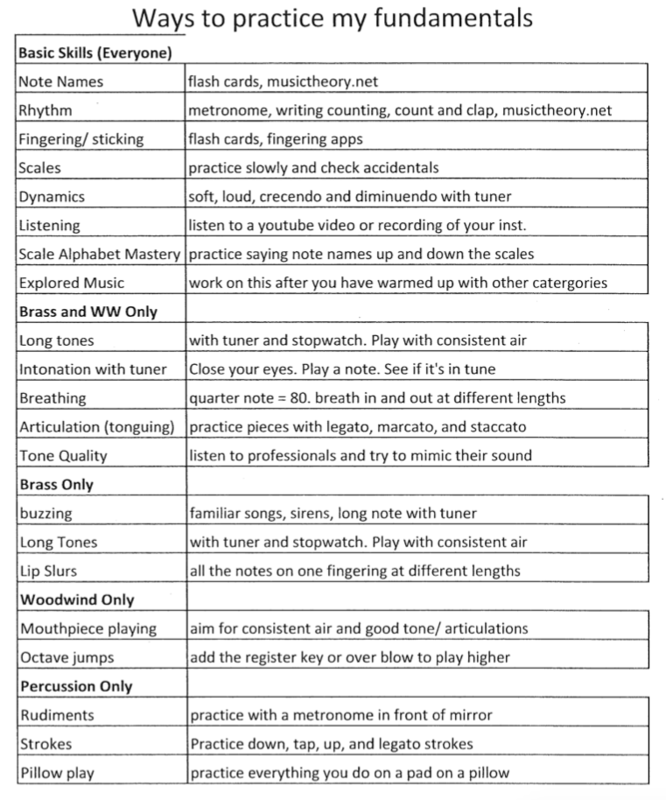 For that reason, 6th grade students are given a practice grid to help them focus on different areas of practice. Every time you practice you should be focusing on different aspects of your playing. Focusing too much in one section will make you really good at that one thing, but other aspects of your playing will suffer. If you notice you are becoming heavy in one area, try practicing others to balance it out. Every time you practice one skill for 5 minutes, put a "5" in a box. Practice these skills in 5 minute increments. If you practice one for 10 minutes, write a "10" in the box. 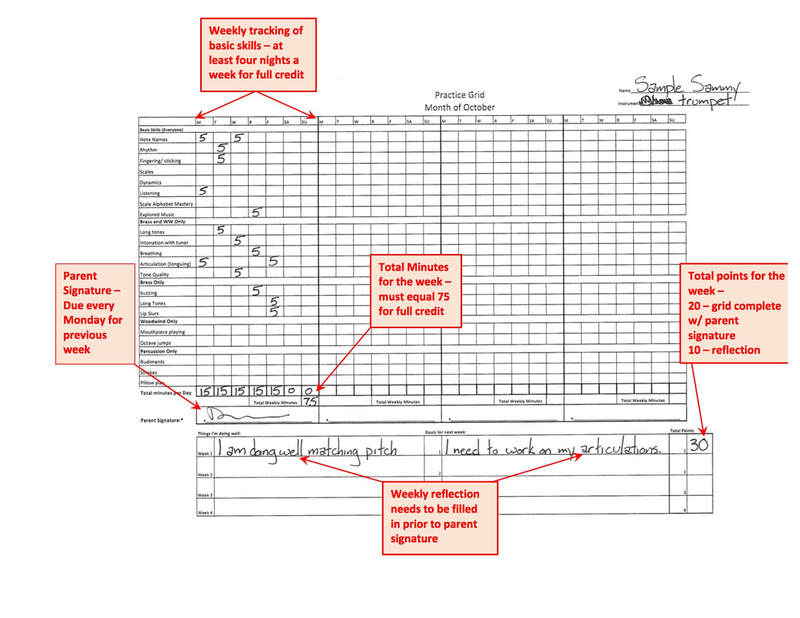 At the end of the week (Sunday), write one thing you did well or got better at and one goal for next week at the bottom of the grid. Get your parent or guardian to sign the signature box. 5 points for "thing you did well"
5 points for "goals for next week"